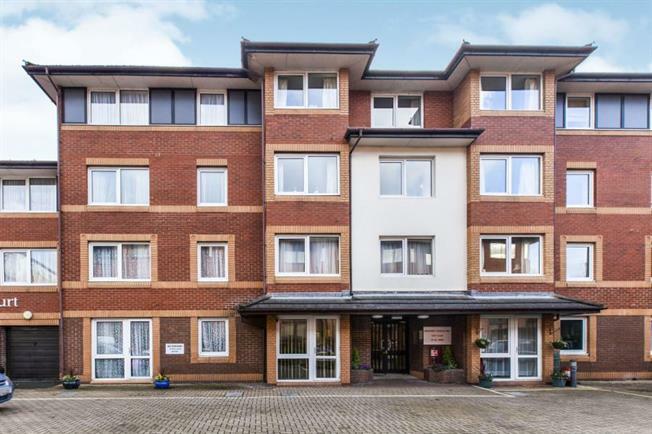 1 Bedroom Flat For Sale in Maidenhead for £180,000. Swanbrook Court was constructed by McCarthy & Stone (Developments) Ltd and stands in pleasant communal grounds with parking to one side and communal gardens with areas of lawn and shrub borders to the other side. Located on the 3rd floor of this exclusive development for the over 60's and offered in excellent condition with vacant possession. This one bedroom third floor apartment benefits from a rare double aspect lounge which delivers an excellent degree of natural light. The development offers a residents lounge, communal laundry, lifts to all floors, separate guest suite that can be hired for visitors and the added advantage of a warden 'on call'. Located in Maidenhead town centre close to the mainline railway station, bus stops, restaurants and local shops.